N acetyl carnosine is a key antiaging supplement for eye health. Carnosine in the optimal carosine dosage also combats glycation and protects your dna from oxidative damage! Carnosine is a “dipeptide” consisting of two amino acids: L-histadine and alanine, that acts as an antioxidant neutralizing the dangerous “hydroxl” radical and protect against glycation, the cross linking of proteins in the body due to sugar/protein reactions. organs and other tissues. N acetyl carnosine is a form of carnosine that extends that protection to the brain and eyes. Glycation is a process that damages tissues in much the same way as “browning” during cooking affects meat. Glycation is extremely damaging to your tissues and especially your DNA. Thus carnosine has a critical role in protecting DNA and chromosomes. Carnosine in muscle is correlated with maximum lifespan! It would be hard to list everything this anti aging supplement does, as it has protective effects throughout the body. As you would imagine, the levels of this substance on your body decline with age, and food sources do not provide an adequate level as you get older. Some experts don't feel that anti aging supplements are always the best way to get nutrients into your body, but in the case of n-acetyl-carnosine, it is the most precise and effective way to ensure your levels are adequate to get the benefits of its protective effects. Meat is a natural source of carnosine, however the enzyme carnosinase rapidly breaks down carnosine into it's two constituent amino acids. This is why even meat eaters can become deficient in carnosine, and why supplementation is necessary for optimal levels! best taken in several divided dosages. This way the levels are more constant throughout the day. Studies have shown that this carnosine dosage of 1 gram per day overwhelms the enzyme that is involved in the breakdown of carnosine and results in higher blood levels throughout the day. N acetyl carnosine is the form most effective for brain and eye health. This form is more bioavailable and actually penetrates the blood brain barrier. It is also used in the form of eyedrops which can help prevent cataracts due to its antioxidant effect on the aqueous humour of the eye. My choices for quality in anti aging supplements are companies like Jarrow, Life Extension, Metagenics, ect. Life Extension in particular makes carnosine eyedrops to guard against cataracts. Adding n acetyl carnosine to your antiaging regimen provides vital protection against deadly glycation effects that other antioixidants do not. 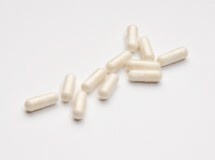 This is one of the anti aging supplements that you won't want to skip!